You may have noticed that we enjoy seeing the barges that cruise past us on our travels - this one was taken near Walhalla which is what you see in the next two photos. 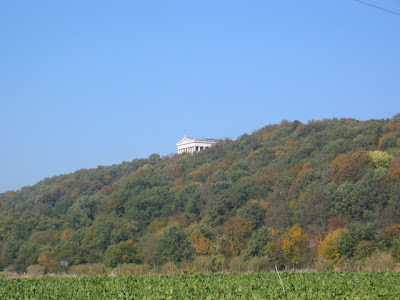 You might remember Walhalla from our posting in the week of 22 May. . . or not . 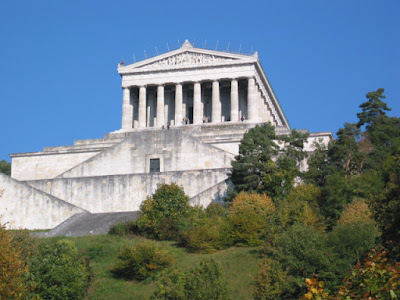 . . it´s a greek style building that contains the busts of Europe´s famous sons and daughters. 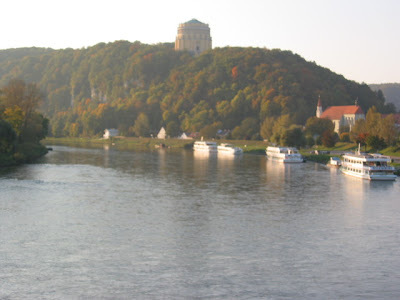 Nestled by the Donau is the lovely town of Kelheim - next two photos. 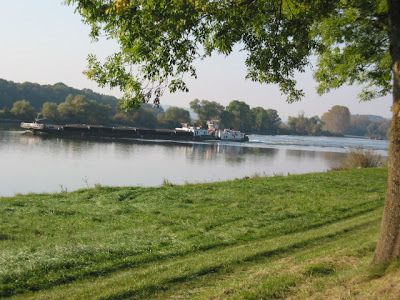 Last time we didn´t stop here but caught a boat up the river to Weltenburg and beyond. 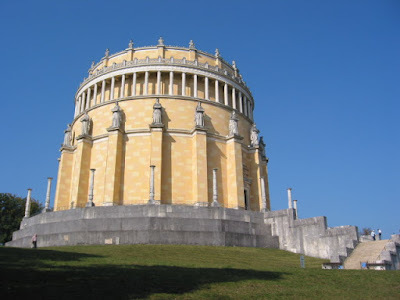 We decided that this would be a good place to stop this time, and we enjoyed looking inside Befreiungshalle. This monument commemorates the unification of Germany in 1815.